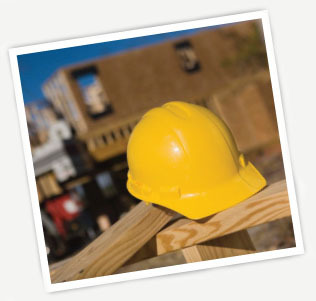 Boss Roofing company in Whitby is totally committed to safety in all aspects of its operation. A great deal of human, physical and financial resources are spent on an ongoing basis to ensure our employees work in a safe manner and to protect our customers and the public from accidents and damages related to unsafe practices. We have a written safety program, which is reviewed annually. It is comprised of a written safety policy, safety training practices, new employee orientation, jobsite safety inspections, and health and safety procedures. This commitment to safety has resulted in an excellent record in the industry. Our latest WSIB Cad-7 ratings have resulted in substantial refunds. All of these milestones confirm the commitment we have to a safe working environment.